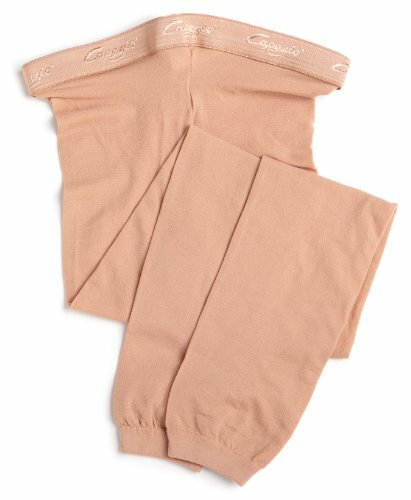 #Bestseller#88% Nylon, 12% Spandex#Semi-opaque fabric#Excellent Hold & Stretch® support, control and durability#1 plush waistband#Dyed-to-match gusset#Reciprocated heel and toe#Also available in Children's sizes#Hand wash cold, hang dry "
Capezio®'s adult Nylon/Lycra® stirrup seamless runproof Hold & Stretch tights offer support and durability and are great for dance, exercise, recital, costuming and fashion. Features include a comfortable 1" plush waistband and dyed-to-match CoolMax® gusset for color uniformity and moisture management. All tights are a final sale, no returns or exchanges except for defective merchandise. 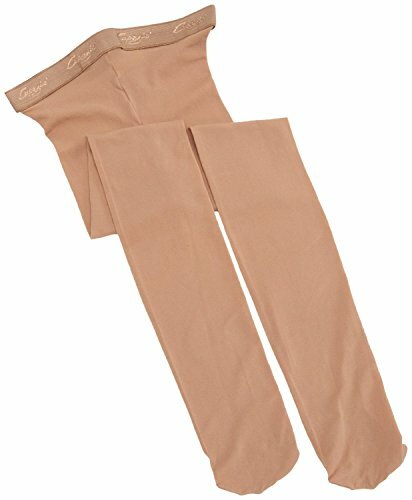 #88% Nylon, 12% Spandex#Semi-opaque fabric#Excellent Hold & Stretch® support, control and durability#1 plush waistband#Dyed-to-match gusset#Transition opening allows tight to be worn as a full foot or footless#Hand wash cold, hang dry "
Capezio's adult Nylon/Spandex footless seamless runproof Hold & Stretch tights offer support and durability and are great for dance, exercise, recital, costuming and fashion. Features include a comfortable 1" plush waistband and dyed-to-match CoolMax gusset for color uniformity and moisture management. Copyright © Wholesalion.com 2019 - The Best Prices On Capezio Stretch Tights Online.